SAN FRANCISCO, Calif. /California Newswire/ — Geek Club Books, Inc., an autism nonprofit, today announced the release of their latest educational webisode, “The Friendship Game” to teach elementary school children how to be good friends to their autistic peers. 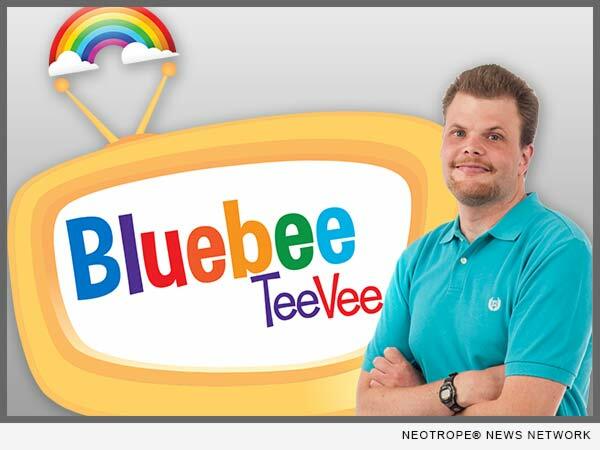 This is the fourth webisode in the free Bluebee TeeVee autism series for the inclusive classroom featuring an autistic host and a Bluebee Pal co-host (Most Innovative Educational Toy 2016). The webisode comes with an episode guide and friendship kit for parents and educators with additional resources, classroom activities, and a model “Lunch Buddy Program” for schools. Access to Geek Club Books’ “The Friendship Game” video, guide and friendship kit, are available at: http://bit.ly/bluebeetv. Founded by Jodi Murphy in 2014, Geek Club Books is a 501(c)(3) autism charity with an autism education and empowerment mission. They produce interactive children’s story apps, enhanced e-books, curriculum, digital media and webisodes to change perceptions and end stigmas surrounding autism. The nonprofit partners with clinical advisors and educational specialists. A team of autistic adults collaborate and contribute their talents to everything the organization produces. Learn more at: http://geekclubbooks.com/. Lisa Smith is a mother of 7 and a popular mom blogger at Quirks and Chaos. She writes about the family’s journey with the youngest two with special needs, a son with autism and an adopted daughter with Fetal Alcohol Syndrome (FAS) and ADHD. Lisa has been featured on several parenting blogs including The Mighty and Scary Mommy. She is also the recipient of the 2015 Autism Parenting Magazine award for being a “top parental narrative writer.” Learn more: http://quirks-and-chaos.blogspot.com/. Bluebee Pals by Kayle Concepts are interactive Bluetooth(r) enabled plush companions and learning tools. Compatible with all tablets and laptop computers, they are instrumental in classroom settings and home learning environments. Bluebee Pals are a leading assistive technology tool for children with special needs and autism. Recipients of many educational and parenting awards, Bluebee Pals have recently been named “Most Innovative Educational Toy 2016” by Corporate Vision (CV) Magazine. Learn more: http://bluebeepals.com/.